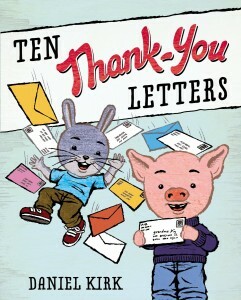 Rabbit comes over to see if Pig can play catch, but finds Pig working hard on a thank you letter for his grandma. This starts Rabbit wondering who he should write to and say thank you. It is a charming collection of short, but appropriate thank you notes to folks like the crossing guard, the bus driver and the librarian. 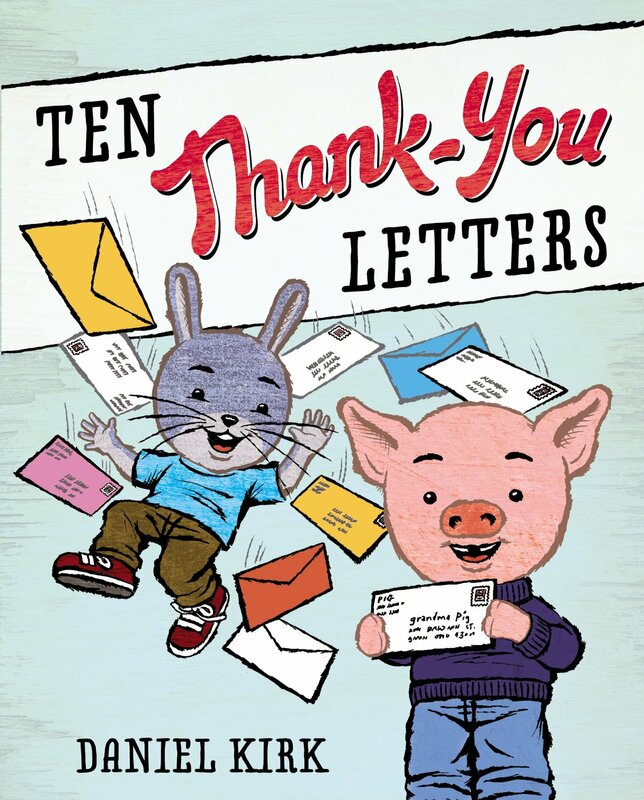 Grade one and grade two readers will delight in the notes as well as in the subtle way they see Rabbit using up all of Pig’s envelopes and stamps. They will also feel the frustration build in Pig as he keeps getting interrupted from writing his own letter. Core curriculum standards will be met for literacy skills as well as for letter writing skills by sharing this book in the classroom or the library. The one missing part of each letter is the date, and kids will pick up on that. However, it will make them feel smarter than either Pig or Rabbit and will help to build confidence in their own knowledge. A good classroom or home follow-up to this story will be writing a thank you note to someone.